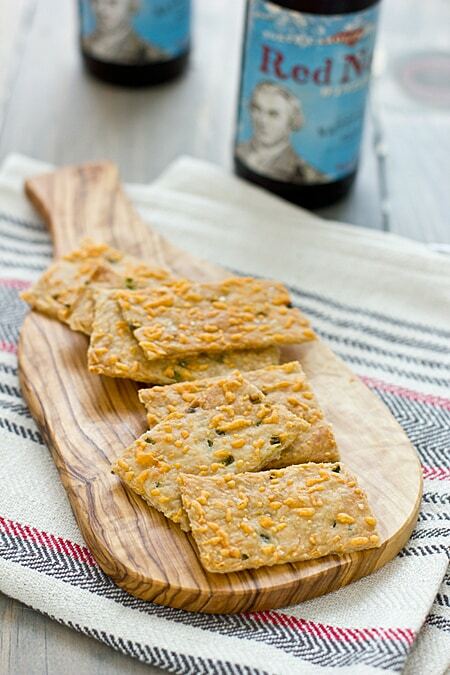 Ooh, I love homemade crackers, especially when they have flavourful ingredients added to them like cheese and jalapeno! I like how you sprinkled some cheese on top too for that splattered effect. My only issue with them is that they don’t seem to last very long, but usually it isn’t a problem to eat them up! When they start getting a little soft, I usually pop them back in the oven and they crisp up again. But for some reason this particular cracker recipe lasted 3 days without getting soft. That’s a first! These crakers look great BTW. Anything with jalapenos and cheese are on my yummy list. 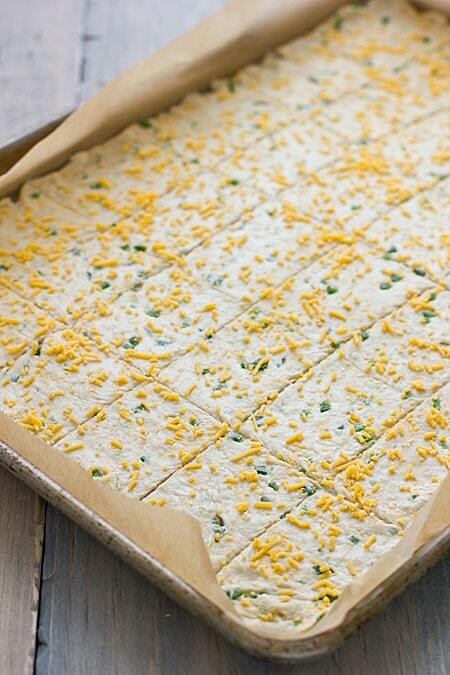 I shall make these scrumptious snack bites of yum! These look so tasty and surprisingly sound a lot less time consuming than I would have imagined. I want to make these :). How awesome are these?! I am so trying these. How did I miss that wonderful crackers??! Where can I buy a box? So good! 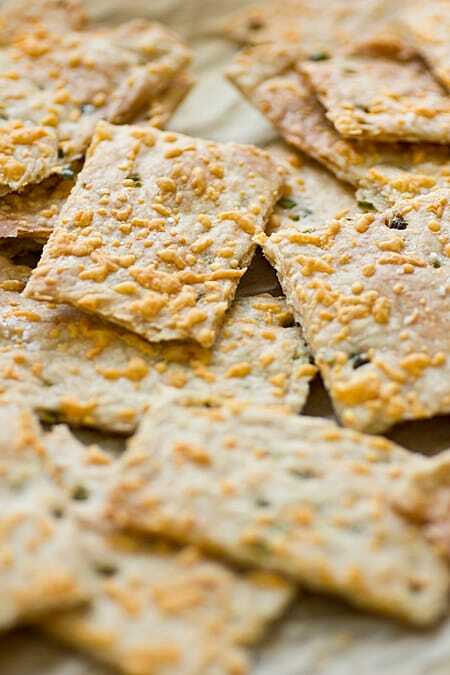 These crackers look like a great way to snack healthy- even before football season. I made this last weekend when I was snowed in, and they are very tasty! The only difference was that, even though I rolled them out as thin as a saltine cracker, they were still very soft after the 30 minutes. I popped them back in the oven today at 350 for another 20 minutes, and that seems to have crisped them up better. Thanks for the easy and tasty recipe!